Labor Unions Aren’t Throwing Their Weight Around in the Democratic PrimariesAfter an unhappy experience in 2016, most unions are reluctant to choose a Democratic candidate early, and are preparing for holy war against Trump. Gimlet Media’s Union Marks a Huge Moment for the Podcast IndustryA month after Spotify acquired the start-up, Gimlet employees are unionizing. Will other podcast companies follow suit? The Nation’s First Charter-School Strike Is Over – For NowAcero Schools’ management gave in on some of the educators’ key demands, agreeing to raise pay, reduce class sizes, and set a sanctuary school policy. Inside the First Charter-School Strike: ‘30k Is Not a Livable Wage in Chicago’Following a wave of public educator protests, teachers at Chicago’s Acero Schools charter network are demanding higher pay and smaller class sizes. 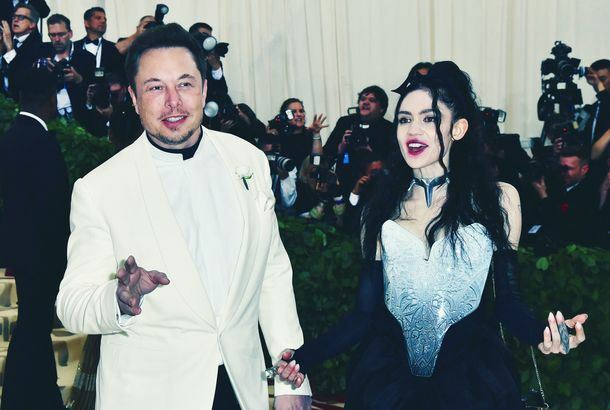 Grimes Defends Boyfriend Elon Musk Against Union-Busting AccusationsAn important relationship milestone. Kentucky Teachers Fighting Pension CutsKentucky Republicans are trying to cut teacher pension benefits to fund what’s left. Teachers are fighting this change, and at the moment, winning. Democrats Paid a Huge Price for Letting Unions DieA new study suggests the Midwest would still be blue if Democrats hadn’t refused to prioritize labor’s needs under Obama, Clinton, and Carter. Trump’s Labor Board Delivers Big Blow to Fast-Food WorkersThe president’s appointees just made it easier for McDonald’s to underpay its workers and violate their labor rights. Populism! Trump Is Shaping Up As a Nightmare for LaborDespite a strong performance among white working-class voters, Trump will very likely tilt labor law and its enforcement strongly toward employers. The Trumps Are Already Monetizing the PresidencyIvanka leveraged her 60 Minutes appearance to hawk gold bracelets. But far more lucrative opportunities loom on the horizon. Women Who Are in Unions Are Closer to Equal Pay Than Women Who Aren’tUnion contracts offer more transparency on how wages are set. Graduate Students Can Form Unions Now. That’s a Big Deal.The move is a boon to a labor movement that desperately needs to make inroads among white-collar workers. Scalia-less SCOTUS Gives Surprise Reprieve to Public-Sector UnionsAn anticipated 5-4 decision that would have gutted union membership rolls did not happen. Key Nevada Union Won’t Endorse Either DemocratThe labor organization is saving its political energy for the general. President Obama Takes Swipe at Scott WalkerBeing the focus of Obama’s ire only boosts Walker’s 2016 chances. UPS Fires 250 Drivers for ProtestingA 90-minute walk-off cost them all their jobs.